I chose Baylor Law because of the proven trial advocacy program. 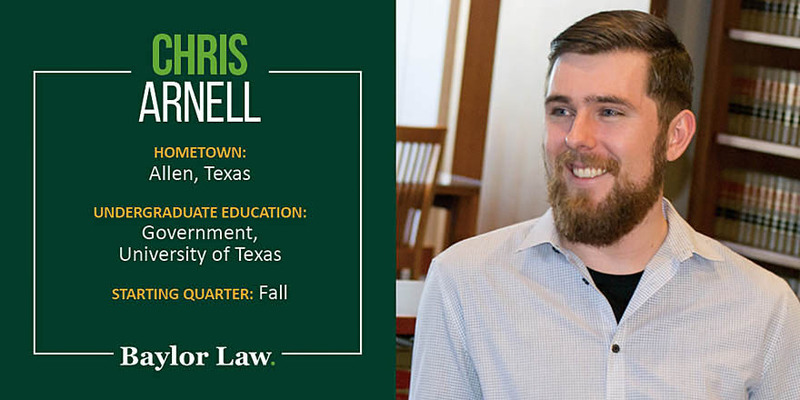 Did you have any noteworthy experiences before you began at Baylor Law? I competed in Mock Trial at the University of Texas for four years. I plan to help others by doing what I love, practicing law.